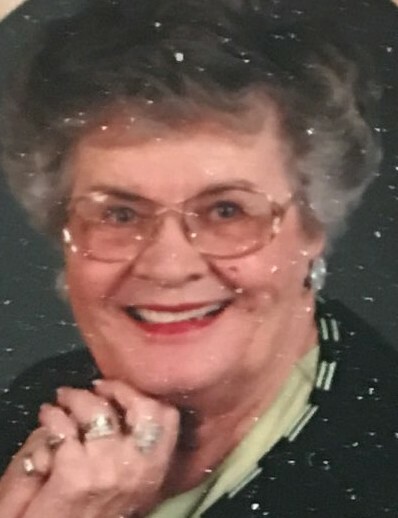 Jeanne Marie Gibson, 87, passed away Friday, April 13, 2019 at Spring Creek Assisted Living in Meridian, Idaho. She was born in Salt Lake City, Utah on June 16, 1931 to Joseph Thomas Alfrey Sr. and Ruth Marie Engelke. Her twin sister Joanne and her were adopted by Donald J. and Mabel G. Burnham in 1936 and lived in Preston, Idaho. She attended school in Preston, Blackfoot and Spokane, Washington. After graduating she met and married W. Dean Gibson from Franklin, Idaho. They lived in Blackfoot, Idaho Falls, Arco, Weiser, Boise, Burley, Twin Falls, and Pocatello before dad retired from the Telephone Company. They returned to live at the cabin in Franklin and then built the house in Preston on the golf course. Her last home was in Twin Falls, Idaho, which she sold and moved to Bridgeview in 2016. She enjoyed reading, playing bridge, golfing and spending time with her many friends in out of the Mountain Bell pioneers. She is survived by her 3 daughters Jan Izatt (Larry Dains), Jil Miles (Tom) and Julie Dover (Don), 11 Grandchildren and 15 Great grandchildren. She is also survived by her Brother Roger Alfrey and many loved nieces and nephews. She was preceded in death by her husband Dean, twin sister Joanne Butterworth, Helen Larson (sister), Tom Alfrey and both sets of parents and nephew Stephen Butterworth. There's still time to send flowers to the Viewing at the Webb Funeral Home from 10:00 AM to 10:45 AM on April 27, 2019.